The human gastrointestinal (GI) tract is the home of a huge microbial assemblage, the microbiota, the vast extent of which is only now being revealed. The number of micro organisms within the intestine greatly exceeds human cells, resulting in one of the most diverse and dynamic microbial ecosystems. Relationships among the microbes, and between the microbiota and the host, have a profound influence on all concerned (1,2). 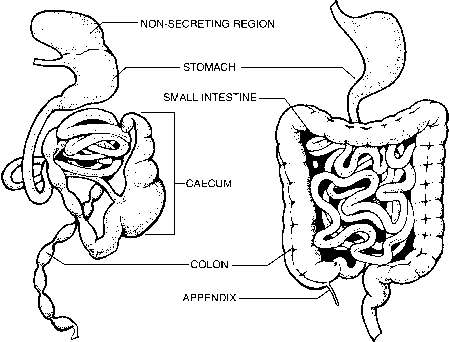 The Gl-tract offers various niches with nutrients, those ingested and generated by the host, and a relatively non-hostile environment to the microbes. The microbiota play essential roles in a wide variety of nutritional, developmental, and immunological processes and therefore significantly contribute to the well being of the host (3-6). During the last decade, specific bacterial isolates, termed "probiotics," have been extensively used in an attempt to modulate the intestinal microbiota to benefit the host. Today, there is persuasive evidence for probiotics in prevention or treatment of a number of intestinal disorders in humans, especially for reducing bouts of diarrhea and providing relief for lactose intolerant individuals (7,8). In order to rationally use probiotics, prebiotics or other functional foods as therapeutic agents, in-depth knowledge of the structure, dynamics, and function of the bacterial populations of the GI-tract microbiota is crucial. ribosomal RNA (rRNA) gene analysis is now allowing a more complete assessment of this complex microbial ecosystem by unraveling the extent of the diversity, abundance and population dynamics of this community (12,13). These techniques have extended our view of those microorganisms that have proven difficult to culture and which play an important role in gut physiology. This huge intestinal microbial reservoir is estimated to contain 1000 bacterial species and as much as 1014 cells (1,14). Besides studying the diversity, it is essential to identify these microbes based upon their eco-physiological traits, i.e., those that are functionally active versus those that are effectively redundant and play little or no role at a particular time or at a given site of the intestinal tract. The latter requires the development of approaches that monitor the activity of these microorganisms at the single cell level in their natural habitat. This chapter initially reviews molecular techniques to study the diversity of the microbiota, and subsequently highlights newly developed molecular methods to study the eco-physiology of the GI-tract. The human GI-tract microbiota comprise bacteria, archaea and eukarya. It is by far the bacteria that dominate and reach the highest cell density documented for any microbial ecosystem (1). The comparative analysis of environmentally retrieved nucleic acid sequences, most notably of rRNA molecules and the genes encoding them, has become the standard over the last decade for cultivation-independent assessment of bacterial diversity in environmental samples (Fig. 1) (15,16). The 16S rRNA gene comprises highly variable to highly conserved regions, and the differences in sequence are used to distinguish bacteria at different levels from species to domain and determine phylogenetic relationships. rRNA gene fragments are today routinely retrieved without prior cultivation of the microbes by constructing 16S ribosomal DNA (rDNA) libraries. The procedure is based upon polymerase chain reaction (PCR)-mediated amplification of 16S rRNA genes or gene fragments, isolated from the environmental sample, followed by segregation of individual gene copies by cloning into Escherichia coli. In this way a library of community 16S rRNA genes is generated, the composition of which can be estimated by screening clones, full or partial sequence analysis, and comparing them with adequate appropriate reference sequences in databases to infer their phylogenetic affiliation. Large databases of 16S rRNA gene sequence information (>200,000 sequences) for described as well as uncultured microorganisms are available, which provide a high-resolution platform for the assignment of those new sequences obtained in 16S rDNA libraries. Databases harboring 16S rRNA sequences include the ARB software package (17), the Ribosomal Database project (http://rdp.cme.msu.edu/index.jsp) (18) and EMBL (www.embl-heidelberg.de/).